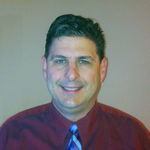 Dr. William Tuccio earned his PhD in Aviation from Embry-Riddle Aeronautical University in 2013. He has been involved in aviation for over 30 years including flying for a commuter airline, flight instructing, owning a number of aircraft, and living on a private airport. He has worked in technology fields related to computer and database programming. He holds a Bachelor of Science in Aeronautical Engineering from the Rensselaer Polytechnic Institute, and a Master of Aeronautical Science from Embry-Riddle Aeronautical University. He contributes to the investigation of transportation accidents at the National Transportation Safety Board.